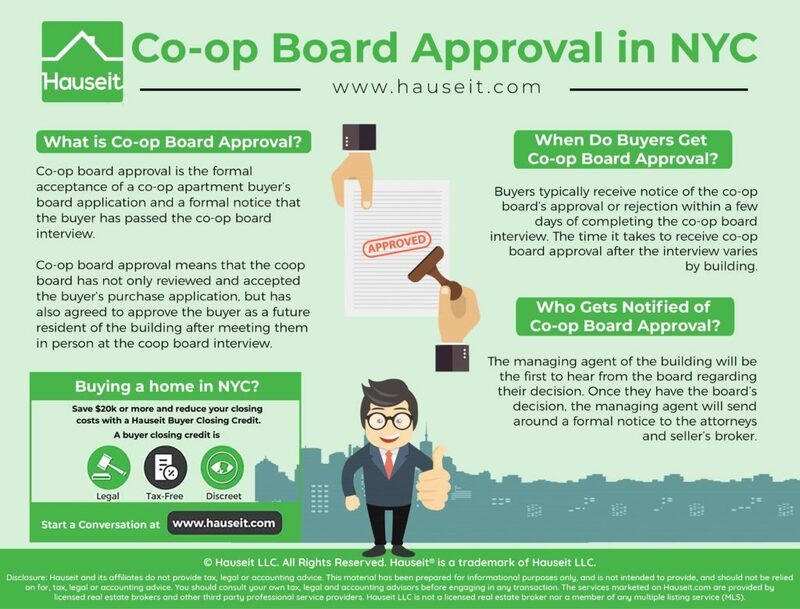 What exactly does co op board approval entail for home buyers and sellers in NYC? When do you find out about coop board approval and who will hear about it first? We’ll explain everything you need to know about the co op board approval process and even show you a sample co op board approval letter in the following article. What Is Co op Board Approval? When Do Buyers Get Co op Board Approval? Who Gets Notified of Co op Board Approval? Co op board approval is the formal acceptance of a co op apartment purchaser’s board application and a formal notice that the buyer has passed the coop board interview. Co op board approval means that the coop board has not only reviewed and accepted the buyer’s purchase application, but has also agreed to approve the buyer as a future resident of the building after meeting them in person at the coop board interview. Receiving co op board approval means the toughest part of buying a coop in NYC is done. All you’ll need to do is to satisfy any remaining conditions required by the co op board, such as putting a certain amount of money into escrow if you have low post closing liquidity. Note: It is not necessarily common to see additional requirements post co op board approval, but if a building has strict co op financial requirements and you barely qualify, they may indeed make you jump through a few more hoops such as putting a few months’ worth of maintenance into escrow. Buyers will receive notice of the coop board’s approval after they have completed the coop board interview. How much time it takes to receive co op board approval post interview will vary depending on the building. However, some lucky buyers will receive an informal, verbal co op board approval at the end of the interview. Don’t expect this to be the norm however, even if you had a really good interview and felt a lot of rapport with the board. It’s more common to have to wait at least a few days to receive a formal written notice of co op board approval or co op board rejection. If a coop board is divided over your application, perhaps because your personal financials are on the cusp of being acceptable, it may take much longer to receive a decision on coop board approval. It could take weeks for the board to decide and come back to you, and they may come back to you with a requirement to put money into escrow or to purchase with a higher down payment vs an outright decision. So be prepared for a longer wait time if you feel like you barely qualify per the co op’s financial requirements! The managing agent of the building will be the first to hear from the board regarding their decision. Once they have the board’s decision, the managing agent will send around a formal notice to the attorneys and seller’s broker. This notice is typically sent via email today, though the letter itself will usually be attached as a PDF file. Therefore, it will usually be the seller’s broker or the real estate attorney who will get in touch with the buyer regarding the board’s decision. Who the managing agent sends the formal notice to can vary depending on whose contact information they have on file. However, it’s more common for the real estate listing agent and the seller’s attorney to know the seller’s building management better. This letter will serve to confirm that the Board of Directors of the Cooperative has consented to the above referenced sale. Please read the information provided below carefully as following the instructions noted will expedite the scheduling of the closing. If we have email addresses or facsimile numbers for the Purchasers, Sellers and Brokers, we have copied them on this letter. If not, we ask that you immediately notify them of this letter and provide them copies. Guaranty: have agreed to act as guarantor(s) of the obligations of the purchaser(s), and the guarantor(s) will be required to execute a guaranty agreement in the standard form used by the Cooperative at the closing. Maintenance Escrow: The purchaser(s) have agreed to place an amount equal to 4 (four) months maintenance in escrow to be held by the Cooperative for at least one year, and thereafter as determined by the Board of Directors in its, discretion. Purchaser(s) must deliver the escrow amount and execute an escrow agreement in the standard form used by the Cooperative at the closing. – If not already done, the Trust Agreement along with any amendments thereto must be reviewed and approved by the attorneys for the Cooperative at the expense of the purchaser(s). – Execution by __________ of a Use & Occupancy and Guaranty Agreement in the standard form used by the Cooperative at closing. – Submission of an opinion letter by the attorneys for the Trust affirming that (i) the trust was validly created and is currently in existence; (ii) the trustee has authority to purchase the apartment and enter into the Use & Occupancy and Guaranty Agreement; (iii) that a true and complete copy of the trust agreement together with any amendments thereto has been delivered to the Cooperative; (iv) and that the opinion letter is being delivered to the Cooperative to induce it to consent to the transfer of the shares and assignment of the proprietary lease to the apartment. NO FINANCING: There is no financing secured by the shares of the Apartment. __ Recognition Agreements in Hand: [Coop Management Company] has the original Aztech recognition agreements in hand and will deliver them signed on behalf of the Cooperative at the Closing. __ Recognition Agreement Not Yet Received: [Coop Management Company] has not yet received the original recognition agreement. Please provide them to our Closing Department as soon as possible so that we can have them signed on behalf of the Cooperative and deliver them at the Closing. Unless you contact the closing agent, Charlie Rose, this is how the documents will be prepared. Even if the closing will not be scheduled immediately, we request that you contact the closing agent and advise how title will be held as soon as possible so that we can prepare the documents and have them executed. Please review the enclosed Scheduling Procedures for Cooperatives for complete information on how to arrange for a closing. In order to schedule a closing, please contact Bob Dole either by telephone or email. Please wait one day from the receipt of the approval letter to allow our office to get the file to our closing agent. In order to avoid multiple telephone calls to our closing agent, we suggest that the Purchaser’s Attorney take responsibility for coordinating the closing date with our office, and that he/she notify the other parties of the date after confirmed by our office. Closings are held Monday – Friday (holidays excepted) and are generally scheduled at 10:00am, 12:00 Noon and 2:00pm. Normal time from approval to closing is 10 business days to allow for preparation and execution of closing documents by the officers of the Cooperative. Tentative Closing Date: We will allow you to reserve one available closing date and time (“Tentative Date”) to assure all parties are able to appear at the closing for one business day. (e.g. if requested on a Tuesday, the Tentative Date will be held until the end of business on Wednesday). If the Tentative Date is not confirmed by the end of the next business day, the Tentative Date will be released to others. There is no guaranty that it will remain available. After cancellation, closing will be scheduled for the next mutually available date. 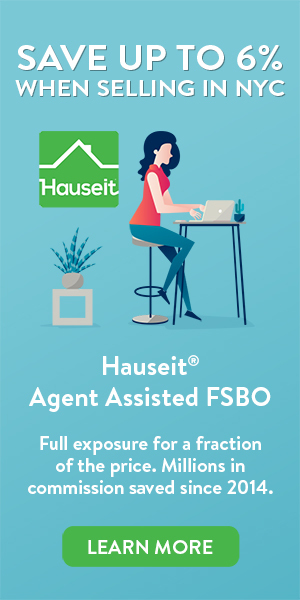 Expedited Closing: If a closing is desired to be scheduled on less than five business days advance notice, we will add staff to perform a closing for an additional fee of $500 (in addition to all other standard closing fees) to compensate for the extra staff and space required to be assigned to the closing.